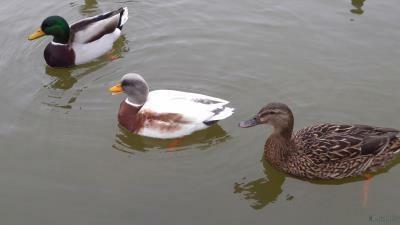 I've not been able to identify this specific duck breed, so was after any help. 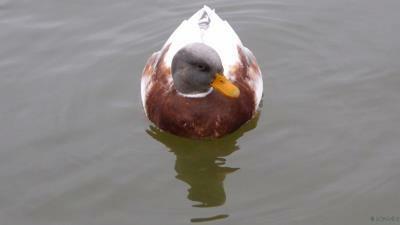 Mallard style dabbling duck, but with distinct colouring of grey head and white body / wings with brown chest. It also has a slightly shorted beak. I saw it at Burnham-on-Sea Apex park.